Vancouver, February 6, 2019 — Inventys today announced that it has formally closed on an investment of US$5M from BDC’s Cleantech Practice, initially received on December 28, 2018, as well as an additional follow-on investment from existing shareholder Chevron Technology Ventures. This brings total proceeds received under the Series C Financing, which was led by OGCI Climate Investments, to US$16M out of a total round of US$21M. Inventys is targeting a close of the final US$5M under the Series C round prior to June 30, 2019, in order to fully fund its corporate program through 2020. The funds will be used to complete the Company’s 30-tonne-per-day (TPD) CO₂ capture demonstration plant project with Husky Energy, currently in the final construction stages and due to begin operations in Q2-2019. The partnership between Inventys and BDC’s Cleantech Practice will allow Inventys to reach its goal of commercializing a first-of-its-kind, industrial-scale CO₂ capture plant by the end of 2020. The investment is part of BDC’s $700-million, five-year commitment announced in 2018 to help high-potential Canadian cleantech firms with market-ready technology or products meet the capital-intensive needs of scaling and achieving timely growth. A key building block for unlocking the growth of the CO₂ marketplace is shifting the carbon capture cost curve down by at least a factor of two from conventional technology (chemical solvents). Inventys found a way to do this with advanced solid adsorbent nanomaterials, combined with a novel modular compact contactor, to capture CO₂ from very dilute post-combustion flue gases (from industrial processes and gas-fired power plants).  BDC is the only bank devoted exclusively to entrepreneurs. It promotes Canadian entrepreneurship with a focus on small and medium-sized businesses. 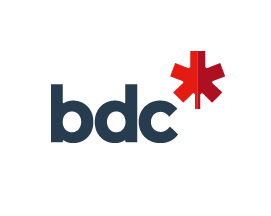 With its 123 business centres from coast to coast, BDC provides businesses in all industries with financing and advisory services. Its investment arm, BDC Capital, offers equity, venture capital and flexible growth and transition capital solutions. 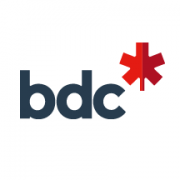 BDC is also the first financial institution in Canada to receive B Corp certification. To find out more, visit bdc.ca. Since 1999, Chevron Technology Ventures has been committed to pushing energy’s frontiers. We pursue new business models and externally developed technologies that enhance the way Chevron produces and delivers affordable, reliable, cleaner energy. Fostering innovation both within Chevron and across the energy landscape, we champion the integration of solutions that address current business needs and those of tomorrow. Through our technology deployments and venture capital portfolio, we support a wide range of pioneers that are shaping the future of energy. Manager, Marketing & Communications, Inventys Inc.